This includes the photos of your tour and safari activity, as well, a bonus of some Bora Bora photos! On land, underwater, on the boat and in the lagoon. 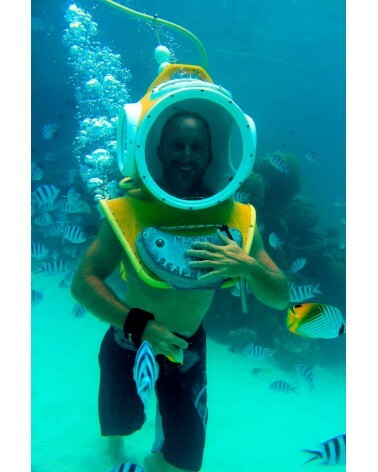 A scuba diving instructor will immortalize your experience in the bora bora lagoon. Surrounded by fish and ray living in a polynesian coral garden, in the middle of the lagoon, you will be able to fully enjoy your safari tour by boat and underwater. This is the best way to enjoy this lagoon tour activity which is easier than snorkeling snorkel. We are taking care of your photos souvenir, you will fully enjoy your reef discovery.